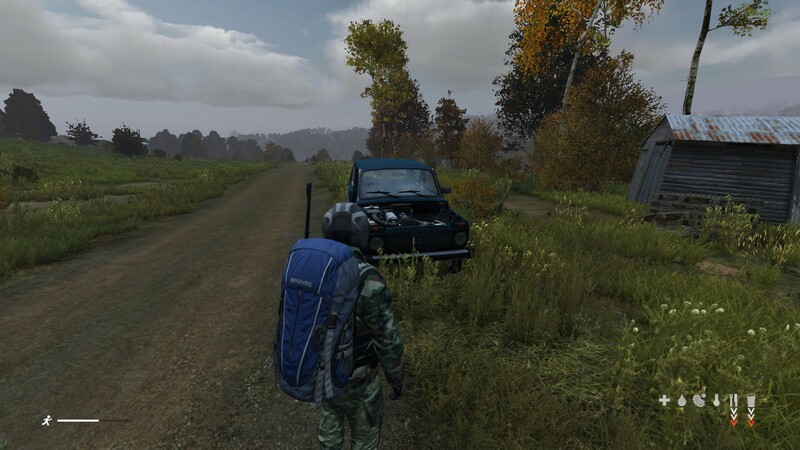 Repairing vehicles can be tiresome, But vehicles is important for looting resources. 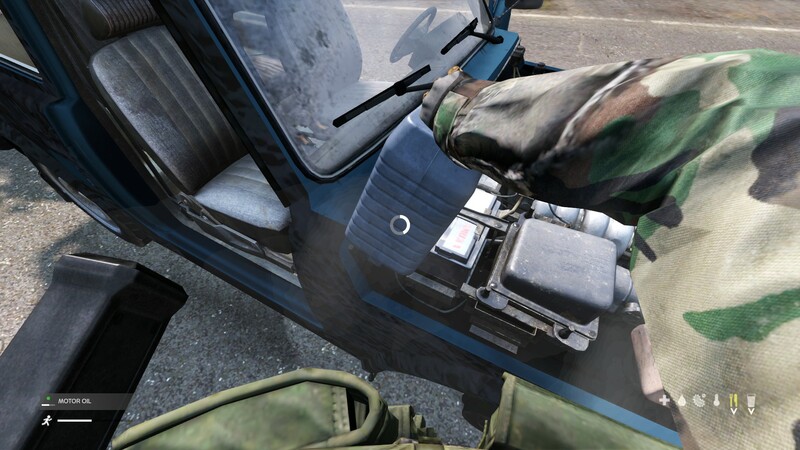 Here is how to repair a vehicle. 1.Of course you need to find a car first. Then check the condition as for the image below, on the lower left corner status bar, the first one is your gear position, the second is your speed ,the third one is your Battery, water tank and oil quantity, in this image they are all empty now. 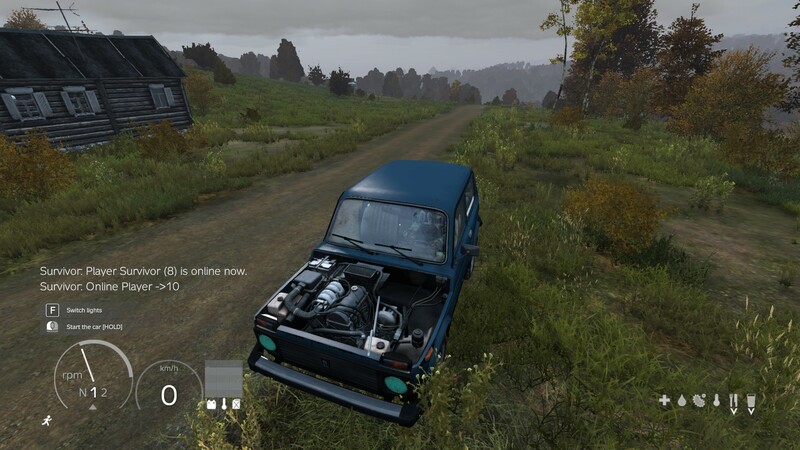 2.Now you need to check what components the car lacks, usually are these tree parts missing-Car Battery, Radiator and Spark Plug. 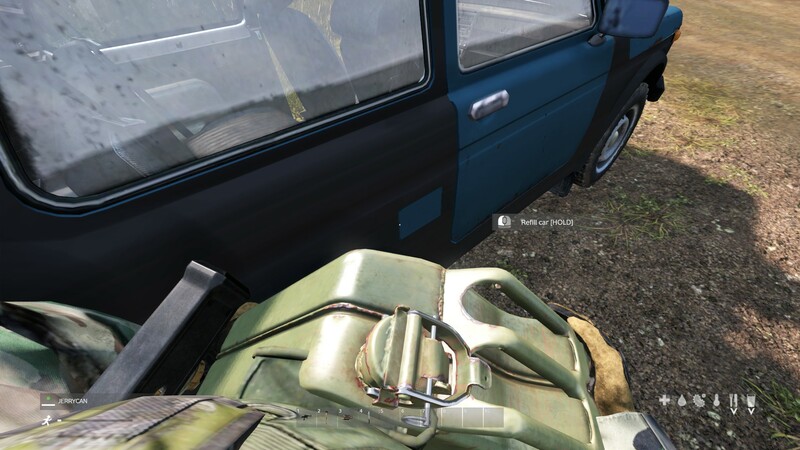 These are easy to find after a little bit of looting. After you installed the three components, Aim the battery to add some motor oil in case your car gets scraped. At last this the part that most people didn’t pay attention to. 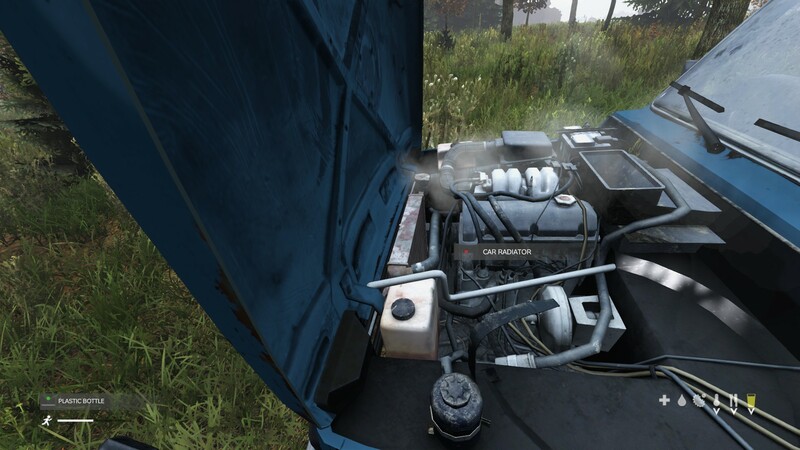 Remember fill the water tank, If you don’t add water to the car’s water tank, it will burn the radiator. That’s it, Start the car and hang up the gear.